I’ve been practicing law since May 2007. I realized early on that I enjoy working one on one with clients. I have no interest in creating a high-volume practice because that would take away from my ability to connect with each client and learn about that person as an individual. I view each case I have as unique and do not believe there is a one size fits all solution for anyone. I also believe that it is extremely important for you to trust me, feel connected, and know I am listening to YOUR concerns. So many times I have clients tell me that the other attorney they interviewed did not listen. I make every effort to hear what you are saying and incorporate your wishes into our decided upon course of action. My work in elder law and divorce/dissolution areas of practice is philosophically driven by personal experience. My divorce/dissolution practice is guided by my belief that, while litigation is always an option, out of court settlements are usually best for your family. 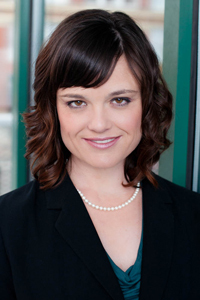 I am a step-mom and have a fierce belief that we, as adults, must strive to minimize the struggle children will be exposed to during and after the marriage termination process. Along with my personal experience, I draw from my previous experience as a Guardian Ad Litem in Clermont County. There I had the opportunity to represent the best interests of the children to the Court. Speaking with children immersed in the process of litigation provided me with a unique perspective from the eyes of children. Because I spend my time between this area of law and Elder law, I am very selective in what cases I accept. However, I will always be able to provide you with a competent referral if I cannot meet your needs. My Elder Law Practice is driven by my deep seated belief that the elderly population deserves respect and dignity. I grew up knowing all four of my grandparents and had special relationships with all of them. My maternal grandmother was a farm owner, business woman and homemaker. Her inner strength and pragmatism inspire me in this practice. My maternal grandfather was a surgeon. His kindness and compassion inspire me in this practice. My paternal grandmother was a homemaker and hospital volunteer. Her sense of humor and eccentricity inspire me in this practice. My paternal grandfather was business owner. His work ethic and faith inspire me in this area of practice. They are all gone now, but they are why I am driven to help individuals in the later stages of life. 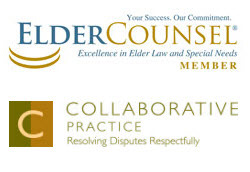 For more details on the specific areas of Elder law that I practice, please see the subject of interest to you. I also know that it is important that you feel “in the loop” in your case. I strive to respond to your phone calls and emails as soon as I can. I strive to have honest and up front conversations with my clients regarding their personal circumstances. I strive to listen to your objectives and include those in our course of action. While I cannot guarantee any outcomes to your case, I will work for you and your interests diligently. Accept my invitation to a consultation by contacting me now. I’m here to help. Being an attorney is a difficult job. In order to best serve you, I am passionate about exercise and personal development. I enjoy traveling on my off time. Some of the most exciting places I have traveled to are Thailand, China, Curacao, England, and New York City. I have a husband, two step-children and three very misbehaved cats.